Boyan Petrov (Sunny) was declared missing on 5th May 2018 while climbing Shishapangma Peak in the Himalayas, Tibet, China. The subsequent search for him was not successful and discontinued on 16th May 2018. Boyan is a zoologist, ecologist, speleologist and a mountain climber. He graduated from the Biological Faculty of the Sofia University with a MSc degree in Zoology and Ecology in 1997. 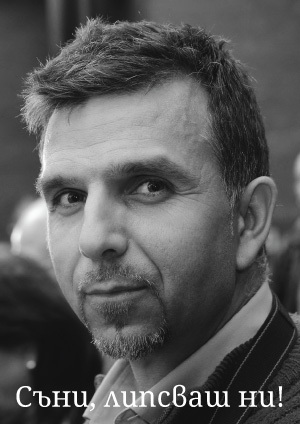 Since 1998, he has worked at the National Museum of Natural History – Sofia (NMNHS) with the Bulgarian Academy of Sciences (BAS). He has a broad area of research interests: faunistics, biology, ecology and conservation of bats; distribution and biology of amphibians and reptiles; caves and cave fauna of Bulgaria, the Balkan Peninsula and China; fauna of the high-mountains of the world; taxonomy and zoogeography of Pseudoscorpiones; nature conservation, and others. From 1990 to 2018 Boyan has participated and organised numerous research and sport alpine expeditions. He has visited and studied over 500 caves and climbed mountains in Bulgaria, the Balkan countries, Kazakhstan, France, Italy, Spain, Turkey, Pakistan, Iran, Nepal, Kyrgyzstan, Tajikistan, Argentina, USA, Russia, Kenya, Uganda, Tanzania, and China. He climbed 10 out of the 14 eight-thousanders, all without supplementary oxygen. This achievement makes him the Bulgarian altitude climber with the highest number of successful ascents of peaks over 8000 m. Boyan is the first Bulgarian to summit four of those mountains: Gasherbrum I (2009), Kangchenjunga (2014), K2 (2014), and Manaslu (2015). During his expeditions, Boyan has collected unique scientific materials and rich collections of plant and animal species from the caves and the high-mountains. He has found dozens of invertebrate species new for the science. Until now, 11 of the newly recorded animal species are named after him. The results of his studies and expeditions have been published in 6 books, 10 book chapters and conference proceedings, over 40 research articles, over 35 popular science papers, and many expert reports, management plans of protected areas, reports on monitoring of threatened species, methodologies, etc. In 2017, Boyan presented his book ‘The first seven’ – A guide to climb high peaks. The first presentation was made on 6th February 2017 at the big hall of the Bulgarian Academy of Sciences, which appeared too small for the hundreds of people willing to attend and many of them stayed outside the hall and even the building. Boyan has trained many students (undergraduate, MSc, PhD). Together with his colleagues he has established and coordinated the Bat Research and Conservation Centre (BRCC) affiliated to the NMNHS-BAS. He is also an active and passionate advocate for nature protection. He has been involved in numerous causes and campaigns to support the protection and conservation of national and nature parks and reserves, threatened species and habitats, and biological diversity in Bulgaria. With his life and his research, education, sport and social activities Boyan has become an example and inspiration to all of us, and especially to his students who continue his work, and to many young people in Bulgaria. They follow the paths he made, as well as the message he left that no one should be afraid to follow his dreams and ascend his peaks. On 20th May 2018, 17 days after Boyan was last seen before his disappearing and four days after the end of the unsuccessful search, a long procession of people climbed his training trail from Knyazhevo to Kopitoto in Vitosha Mountains, in a sign of respect for his personality. On 14th July 2018, hundreds paid tribute to Boyan, climbing Malyovitsa Peak (2729 m) in Rila Mountains, the last peak ascended by him before his departure for Shishapangma. On 21st June 2018, a ceremony in memory of Boyan was organised by the National Museum of Natural History – Sofia and held at the Bulgarian Academy of Sciences. Boyan’s work was presented by Dr. Petar Beron, Dr. Pavel Stoev and the PhD student Violeta Zhelyazkova. Talks were given also by Prof. Dr. Nikolai Spassov, the Director of the NMNHS-BAS, H. E. Mr. A. S. Babar Hashmi, the Ambassador of Pakistan, Mr. Jerry Gore, a mountaineer and friend of Boyan, and Assoc. 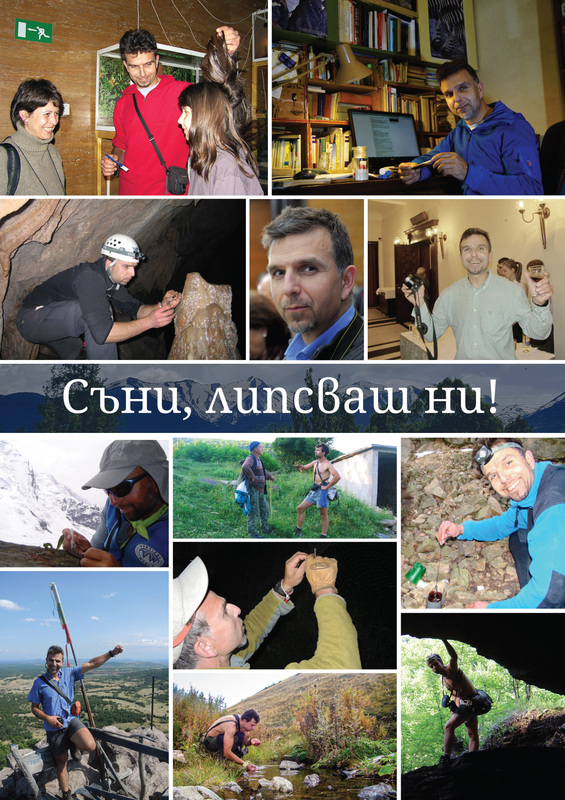 Prof. Dr. Yavor Shopov, the President of the Bulgarian Federation of Speleology. A special exhibition showed some of the scientific collections and notes of Boyan from his expeditions, as well as some of his publications and awards. His collections will be further studied and after processing all the materials collected by Boyan will be exhibited as a part of the permanent exhibition of the NMNHS-BAS. Due to his charisma and achievements, we can talk about Boyan only in present tense though he is not near us.